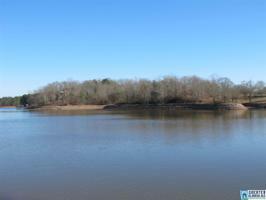 Come to Lake Wedowee and build your dream Lake Home! This lot is located in Woodcrest Point subdivision with minimum restrictions that offers awesome views of the lake, year round water, paved roads, county water and a community boat ramp. This lot is ideal for a basement home and has 100 feet of shoreline with deep year round water. You are located close to Wedowee Marine and Wedowee. There is an additional adjoining lot that is offered for sale also. From Wedowee travel hwy 431 north, turn left onto Co. Rd. 121, left onto Co. Rd. 329, left onto Co. Rd. 3292, right onto Co. Rd. 3294. Lots will be on the right.